When you are not “in the know” call the team that is! Our complete attention and expertise to ensure that all our efforts are directed towards finding your home within the allotted amount of time of your HHT. Ensure that your HHT is an overall enjoyable experience. 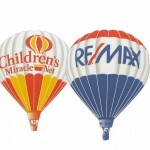 Maintain contact and support you during the selling process, closing date and thereafter. Referrals to a reputable REALTOR® in your destination city whom we are confident will provide you with an exceptional service in finding your new home. 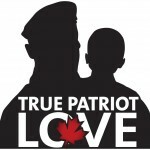 Team Turcotte is proud to stand behind our troops and community by supporting Military and community initiatives within the Renfrew County Area such as Stewie’s Angels Summer Camp and True Patriot Love. Military personnel sacrifice everything for their country, we are proud and honoured to have the opportunity to provide a top-notch service to those who fight for our freedom.